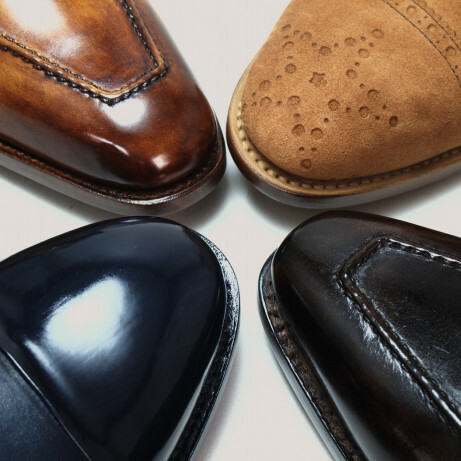 City loafer dress shoes Goodyear welted. 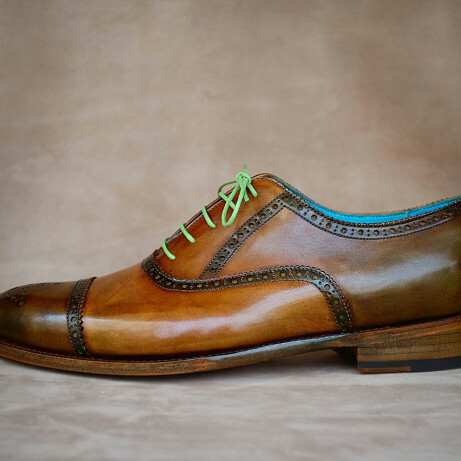 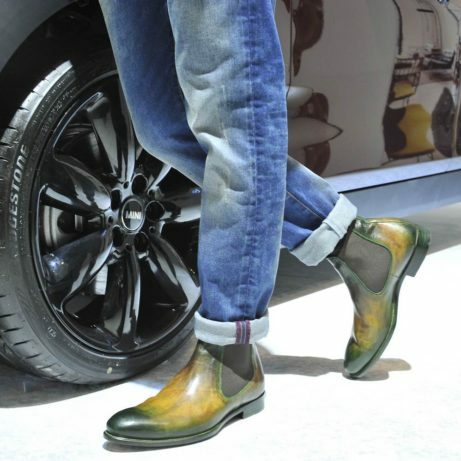 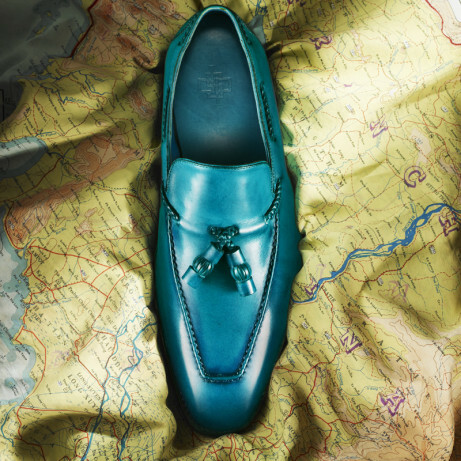 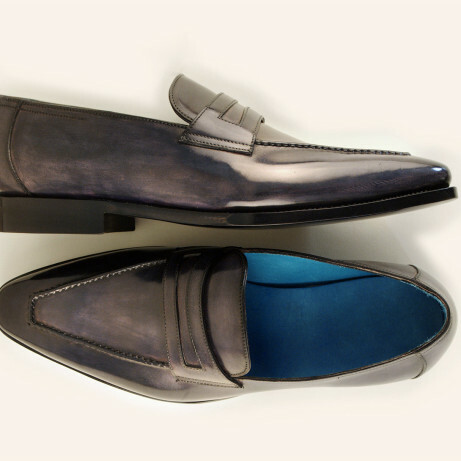 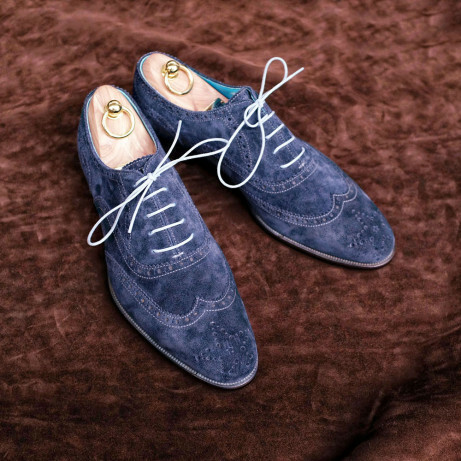 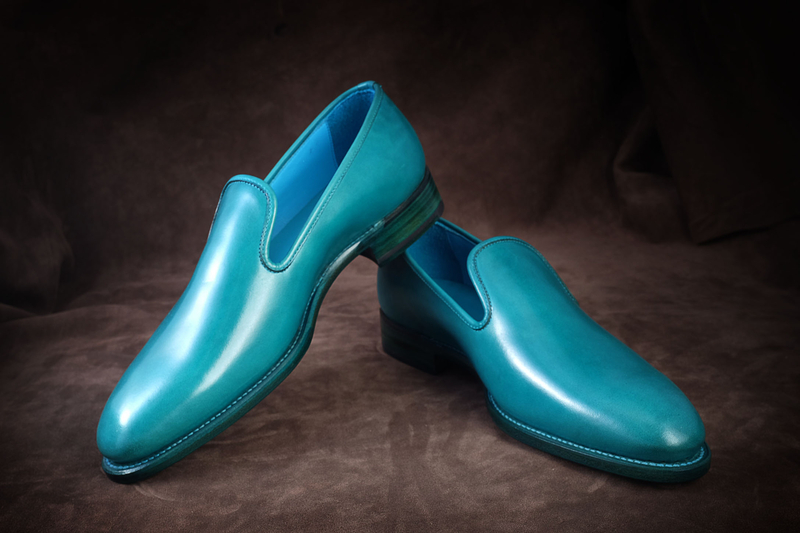 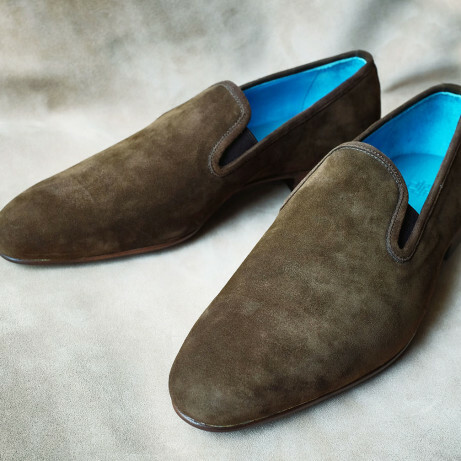 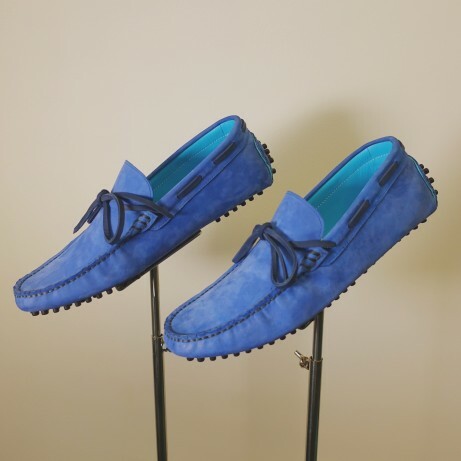 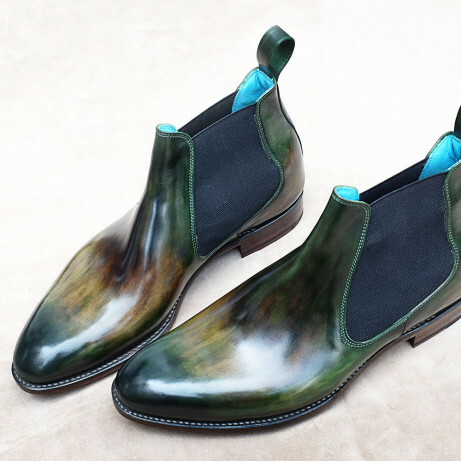 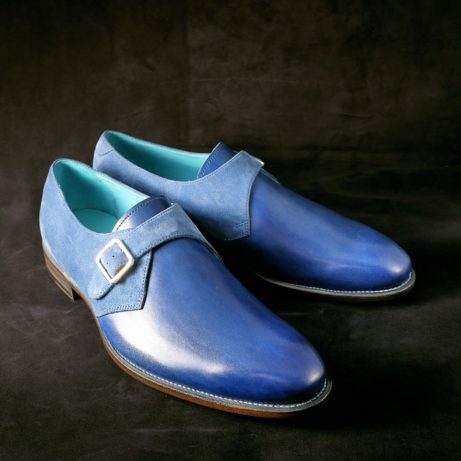 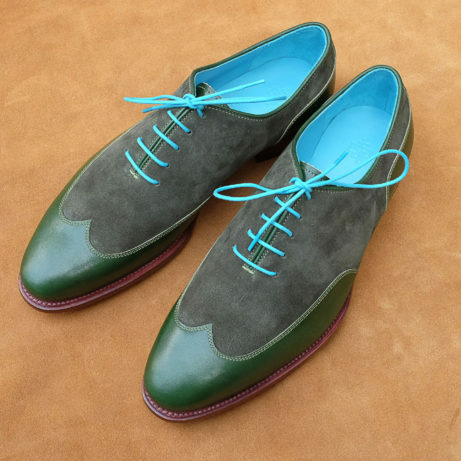 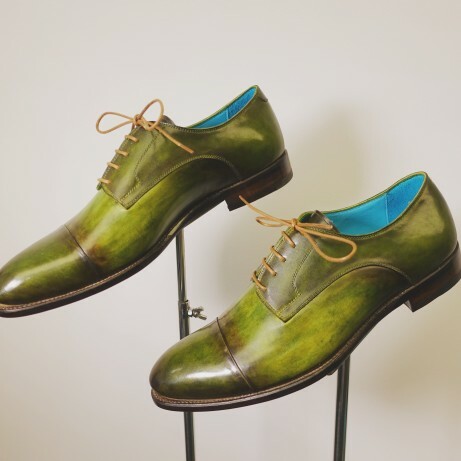 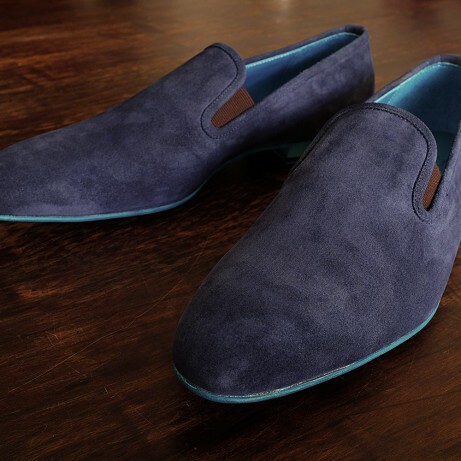 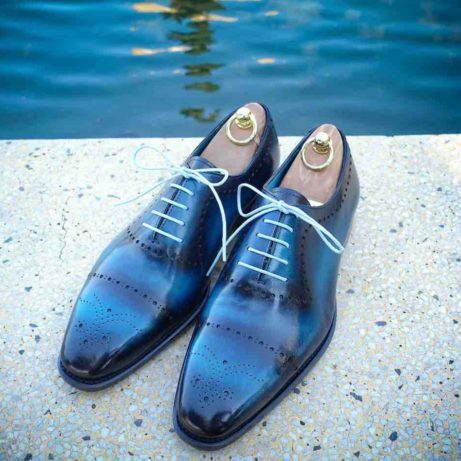 Pictured here one pair of loafer shoes hand coloured in a most startling turquoise patina. 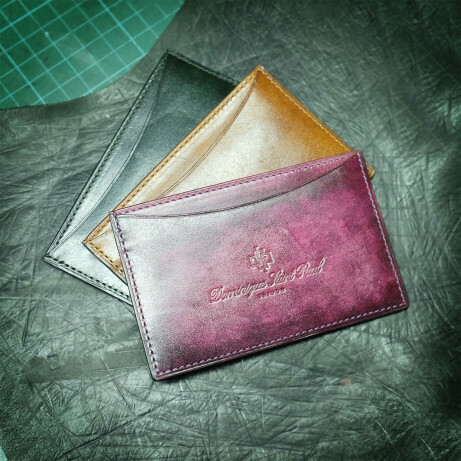 In case the colour shown here is too vibrant for you this style is also available in made to order in which case you can choose the colour. 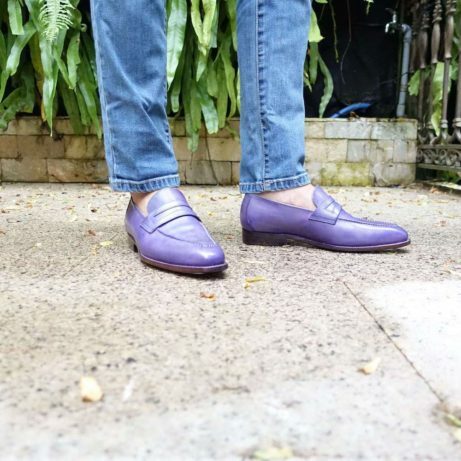 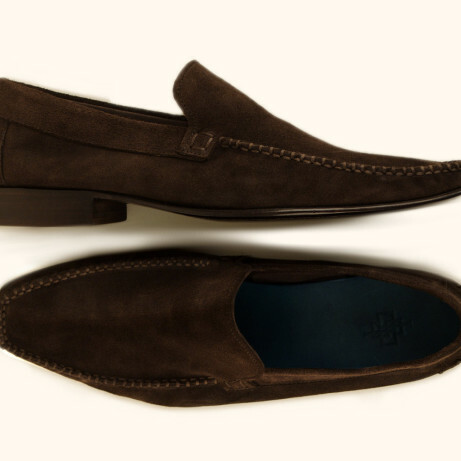 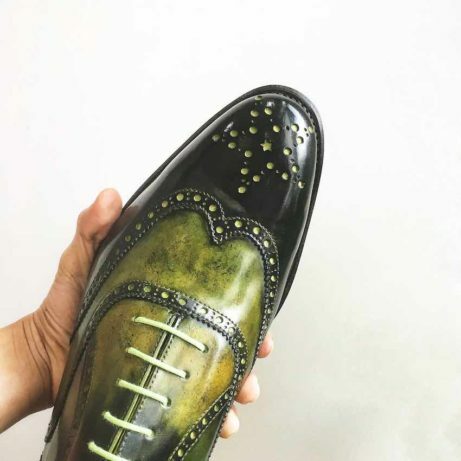 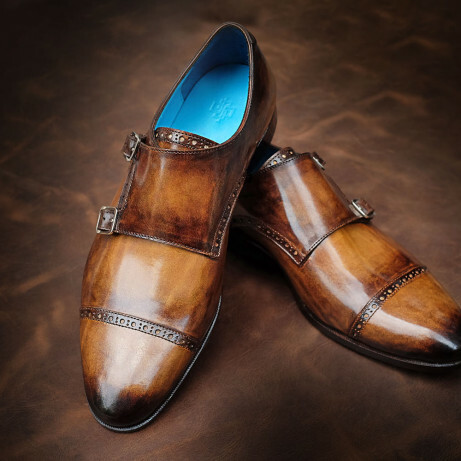 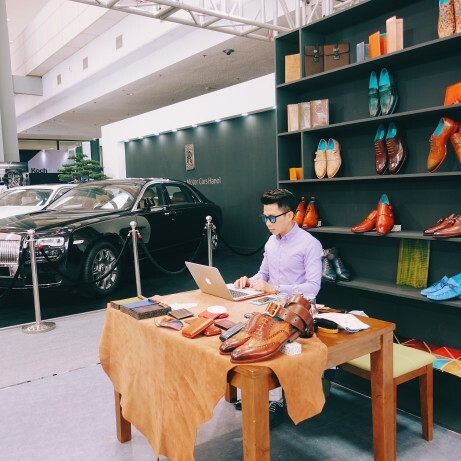 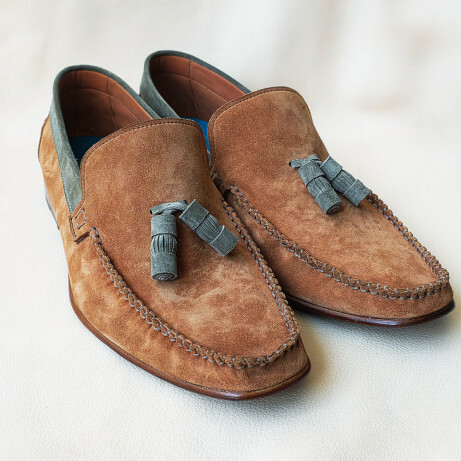 These hand crafted and artisan made luxury loafer shoes are Goodyear welted – which means the life of the shoe is extended by being able to resole any number of times. 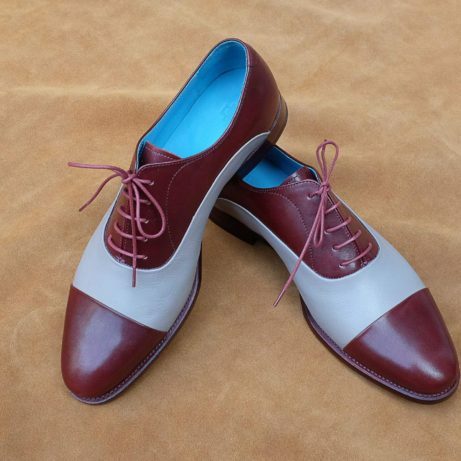 The heel are stacked leather and feature a rubber top lift grip for extra peace of mind when walking in the wet. 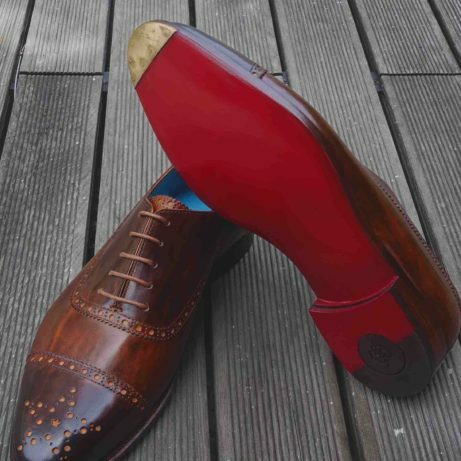 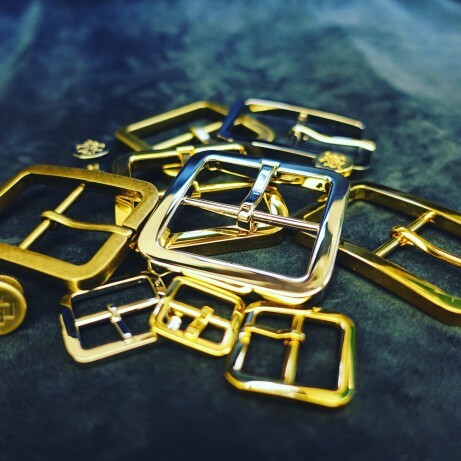 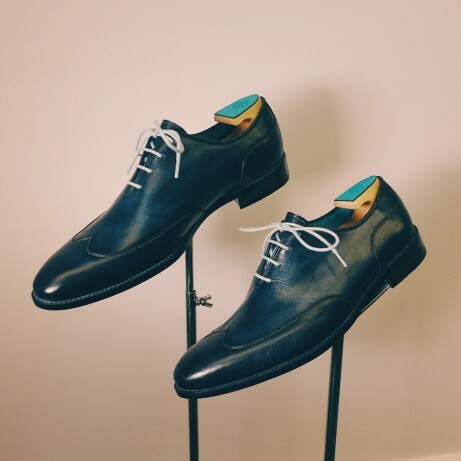 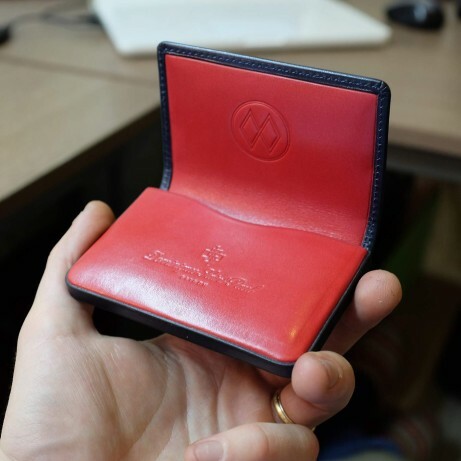 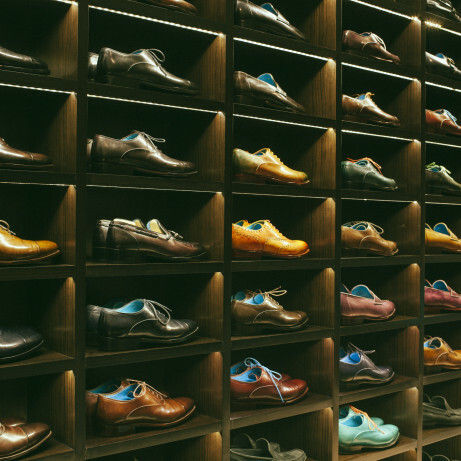 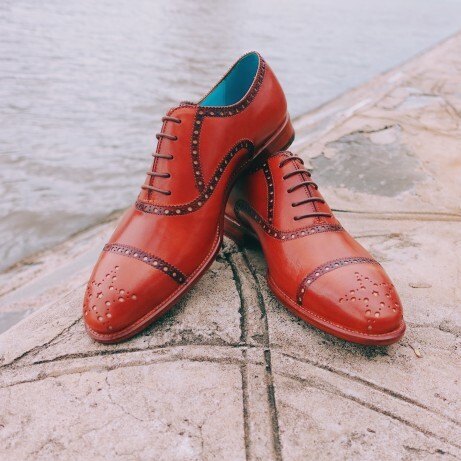 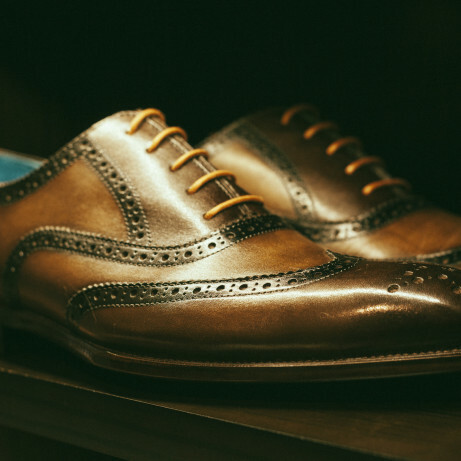 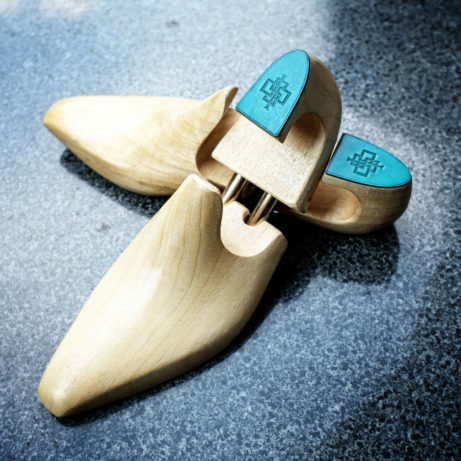 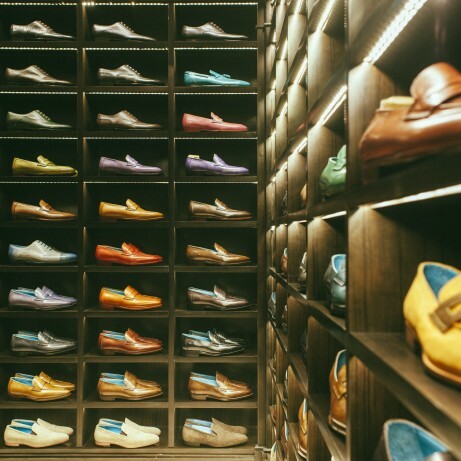 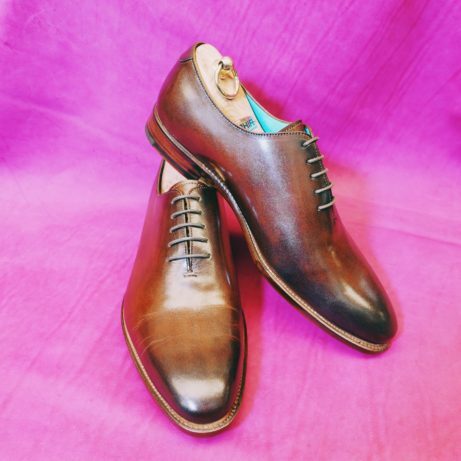 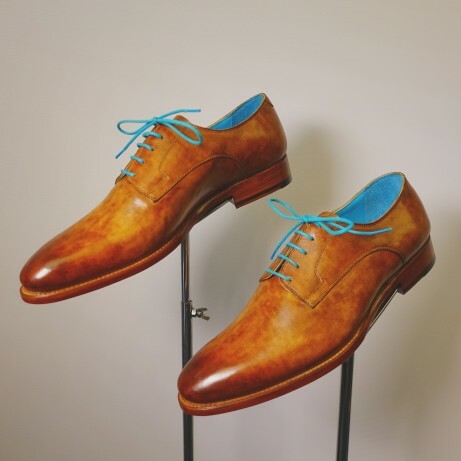 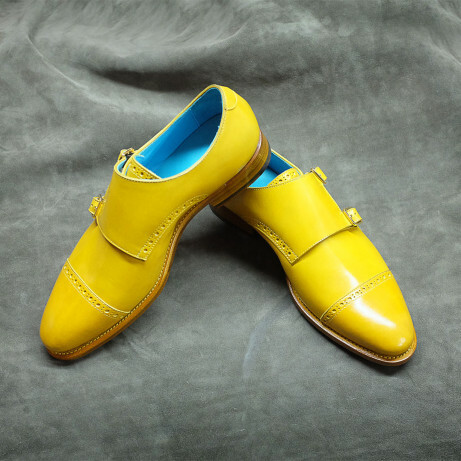 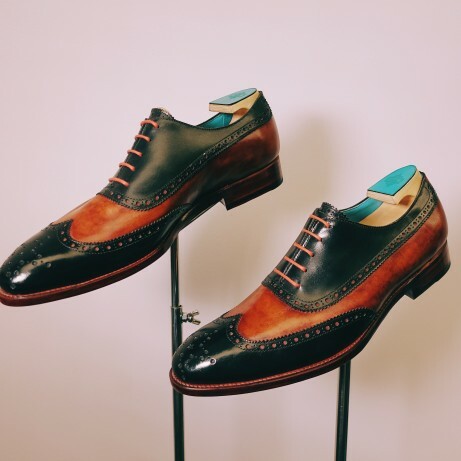 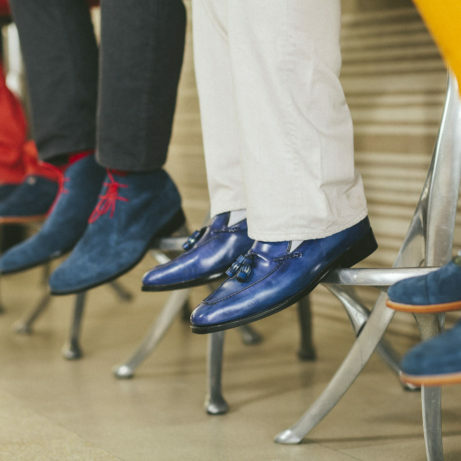 Our made to order programme also allows the customer to choose from 13 sizes and in each size their is a width fitting choice of E, EE, EEE, F and G.
This ensure that you get beautiful shoes with great fit and most important of all superior comfort. 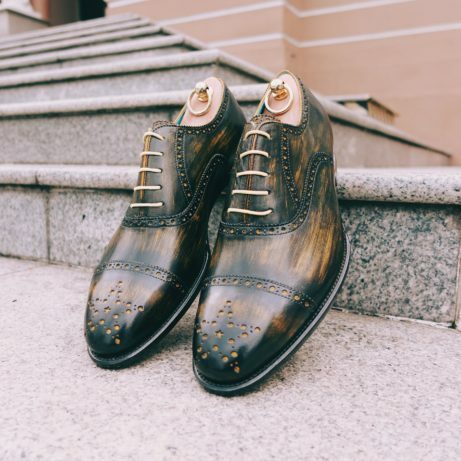 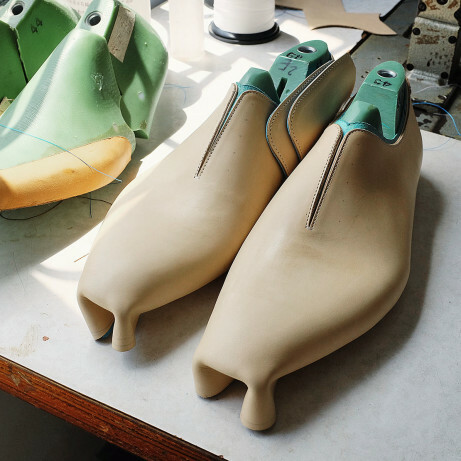 Our shoes are 100% made in our workshop in Ho Chi Minh City in Vietnam. 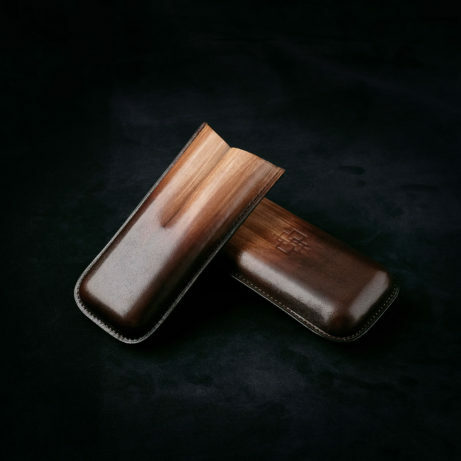 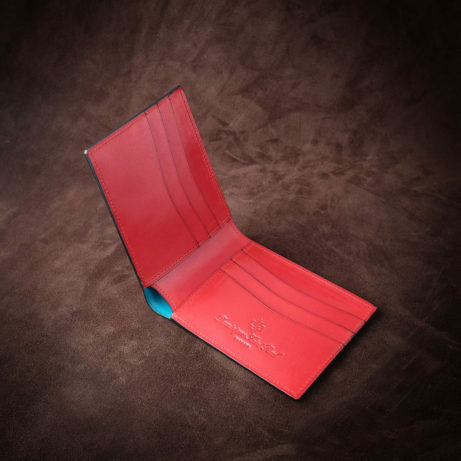 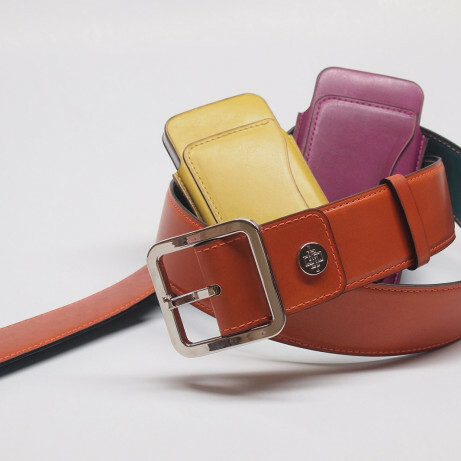 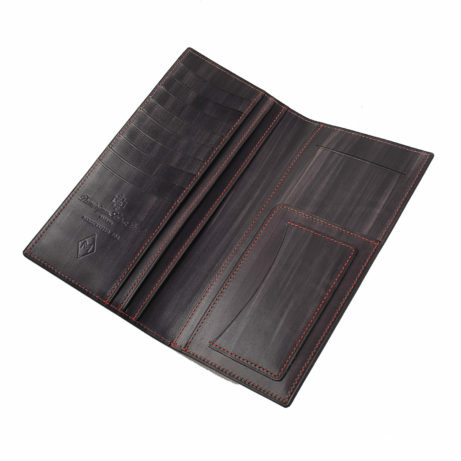 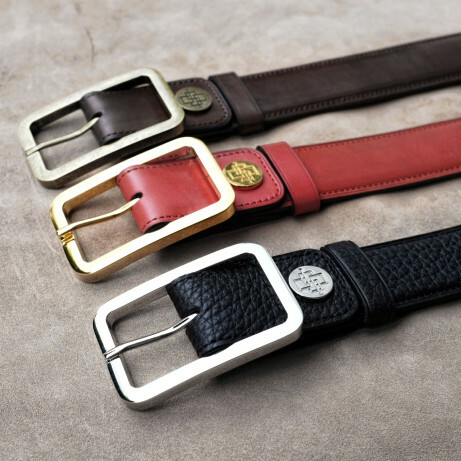 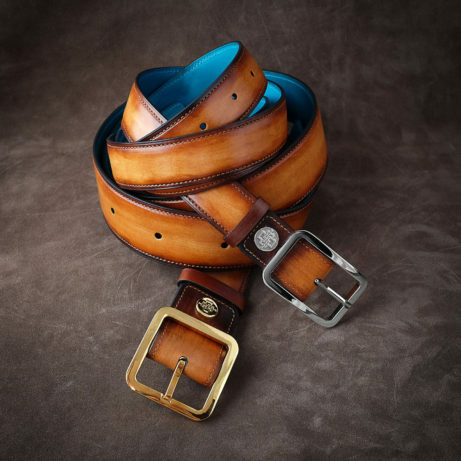 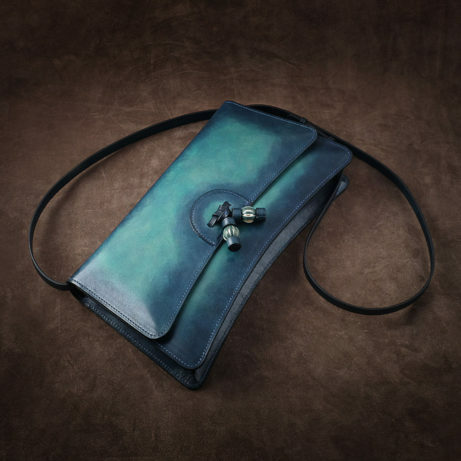 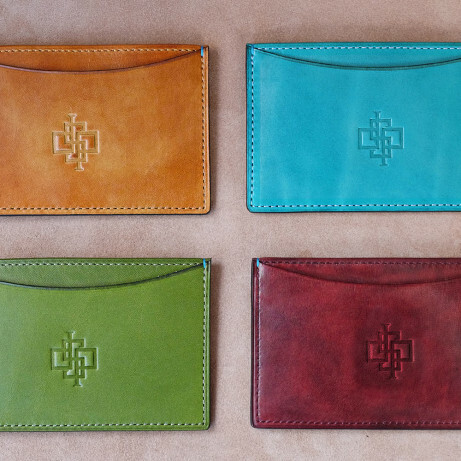 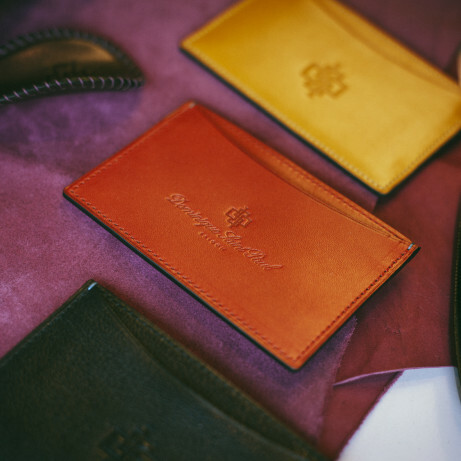 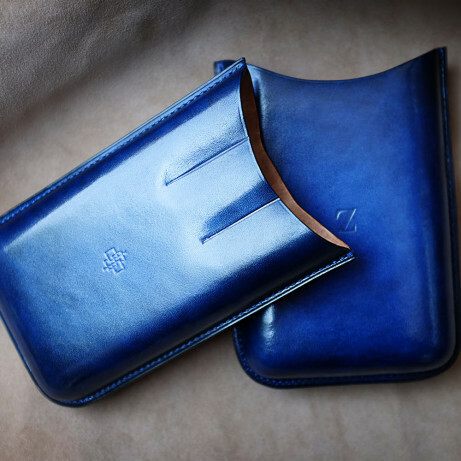 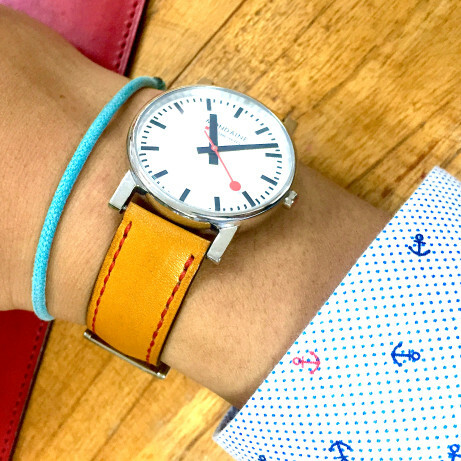 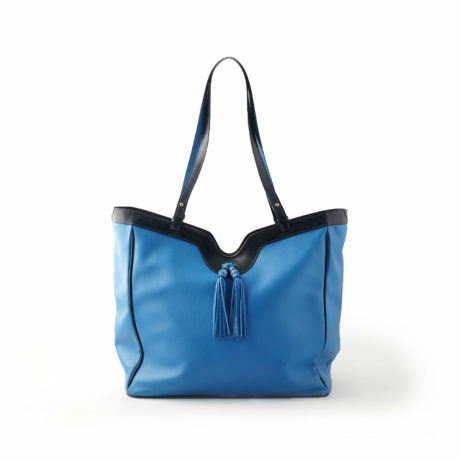 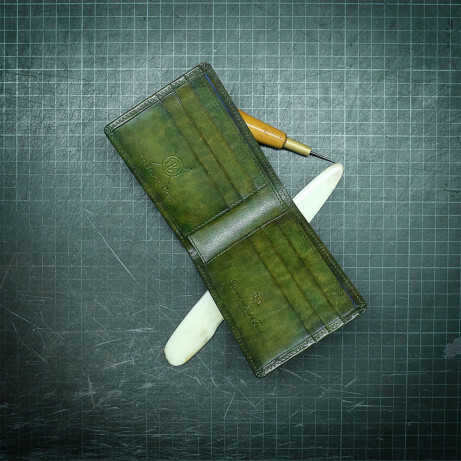 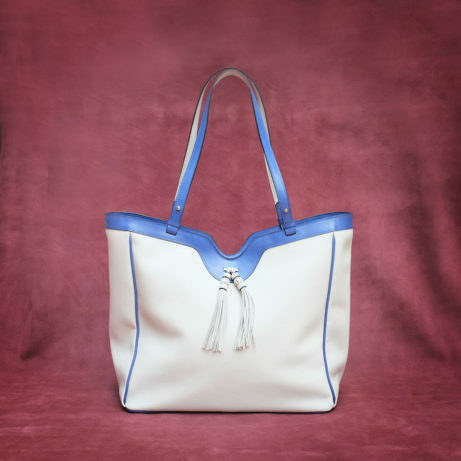 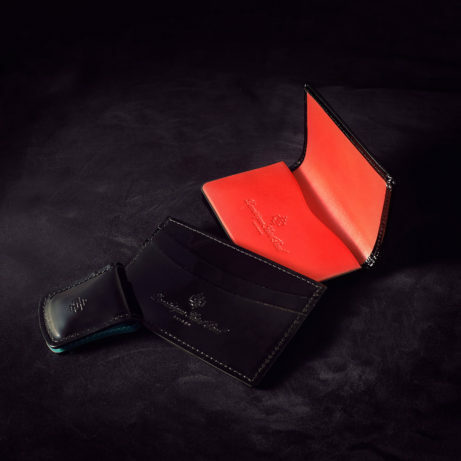 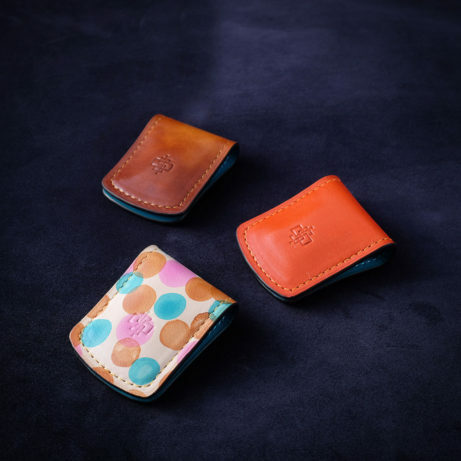 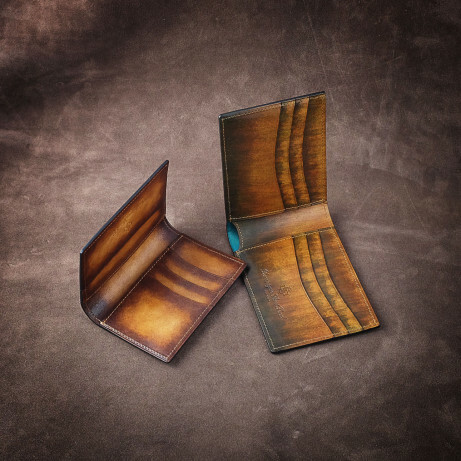 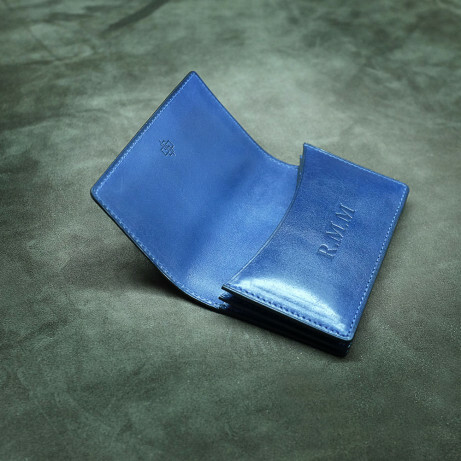 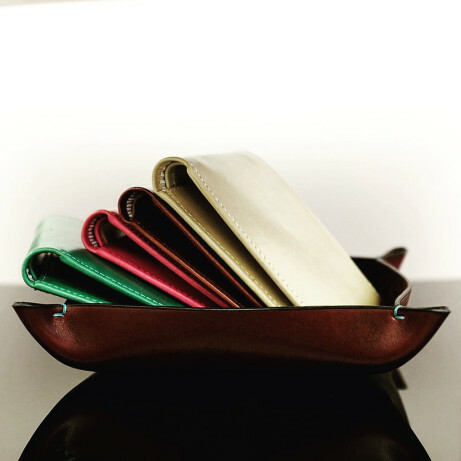 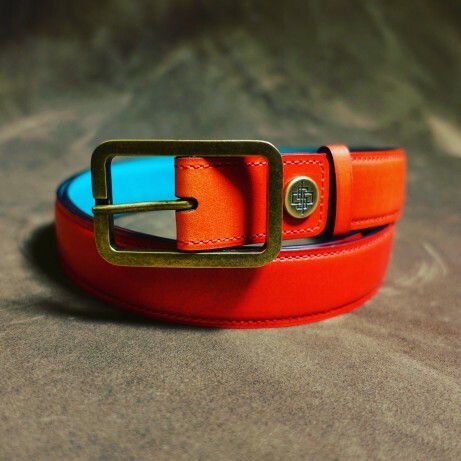 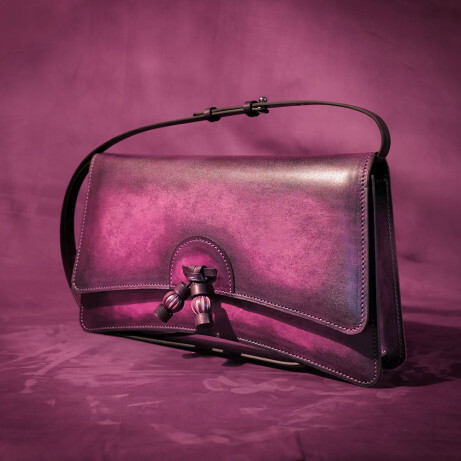 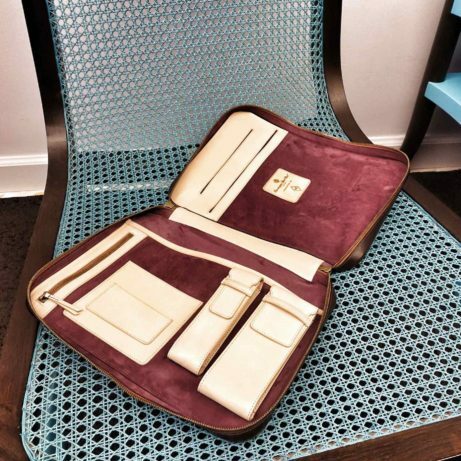 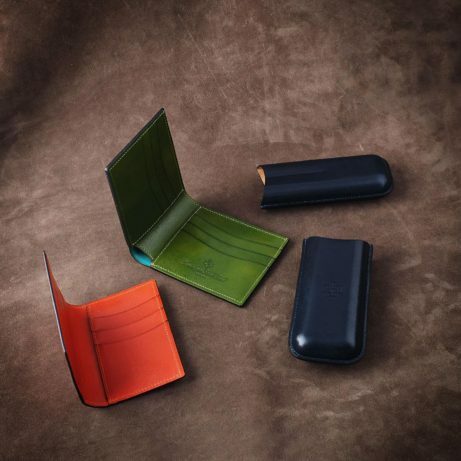 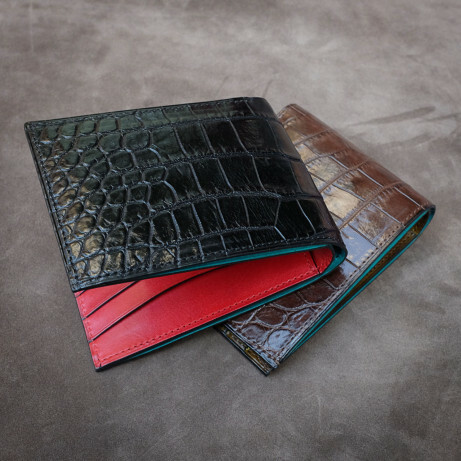 We are a brand born in Saigon and our skilled and experience artisans under the guidance of our French master leather craftsman create pieces that allow you to express your individual style. 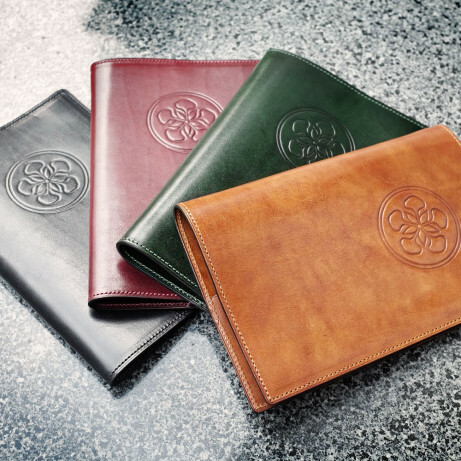 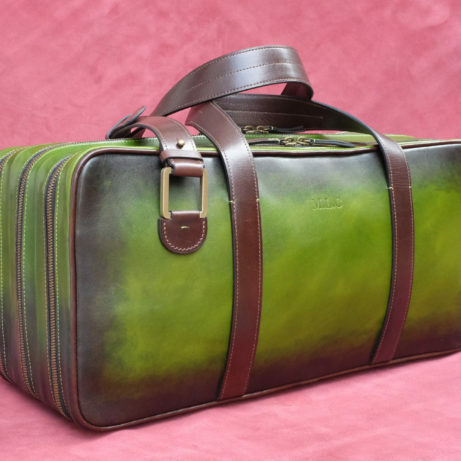 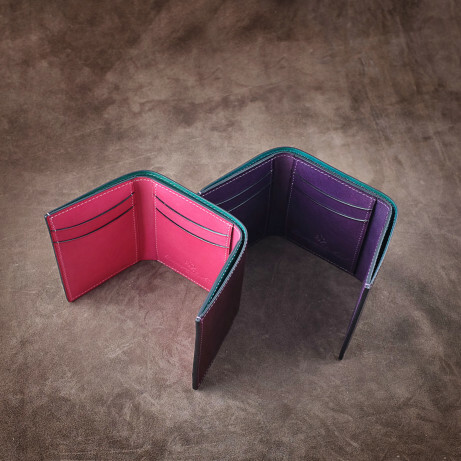 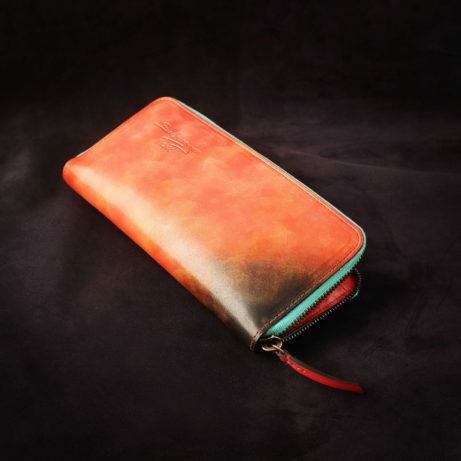 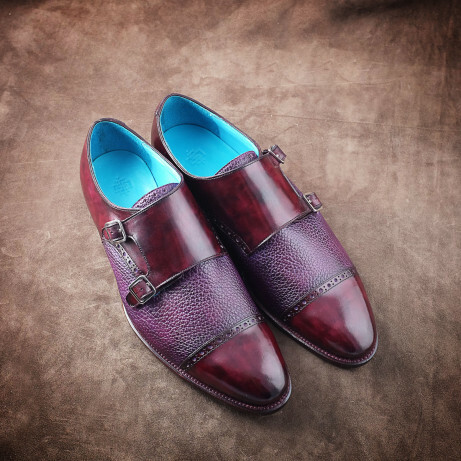 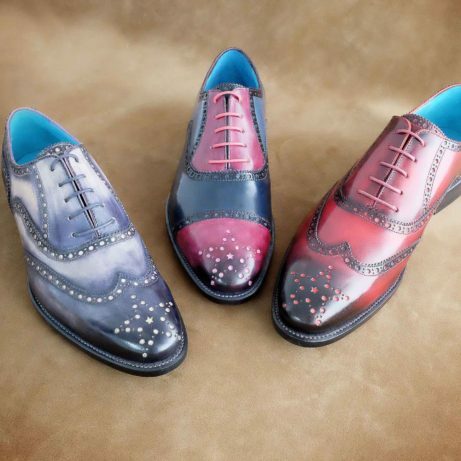 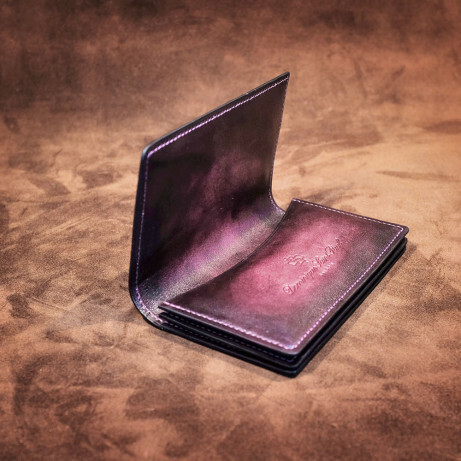 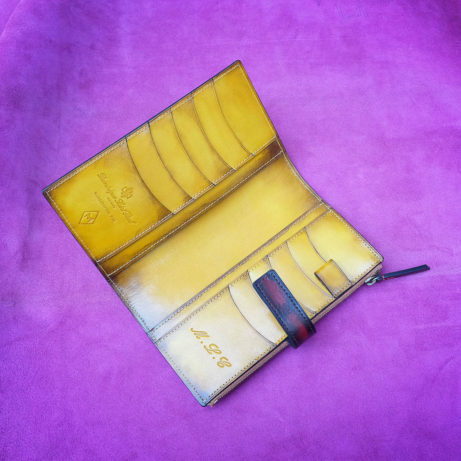 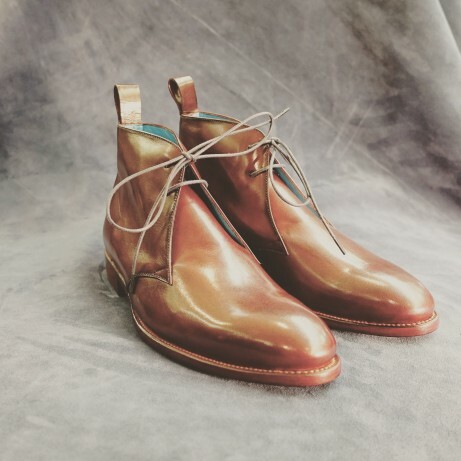 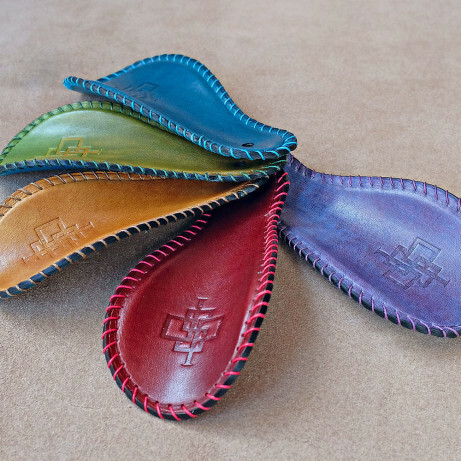 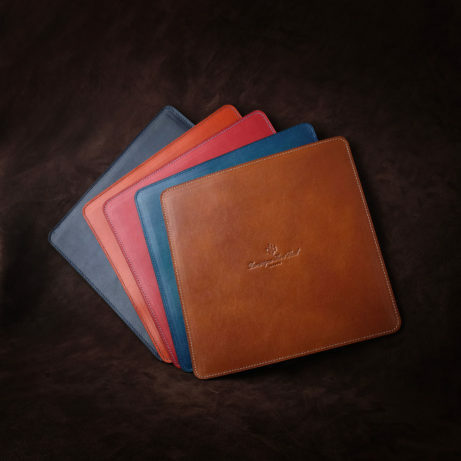 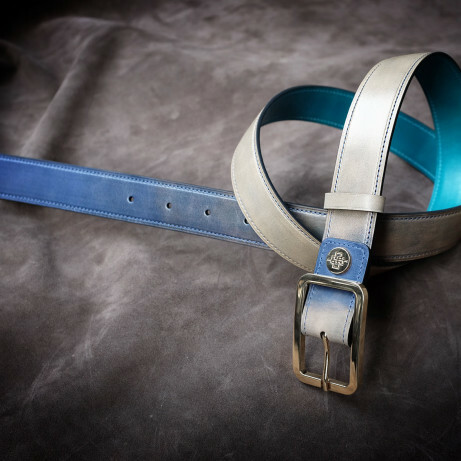 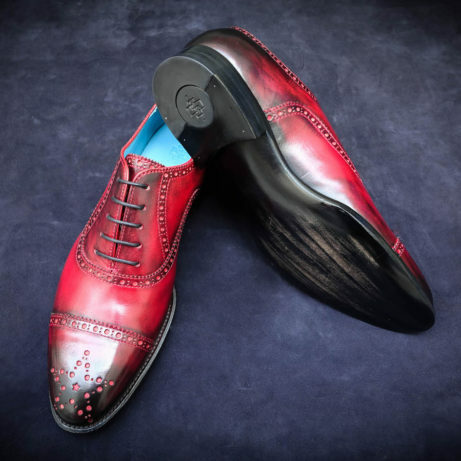 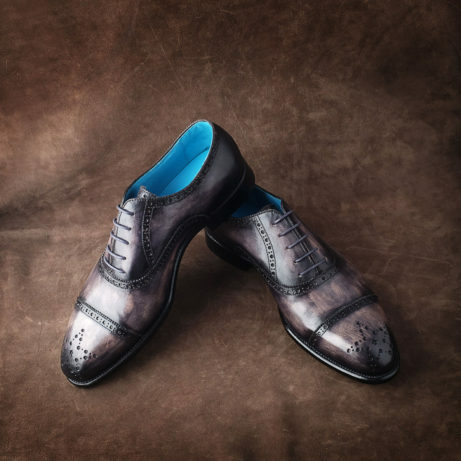 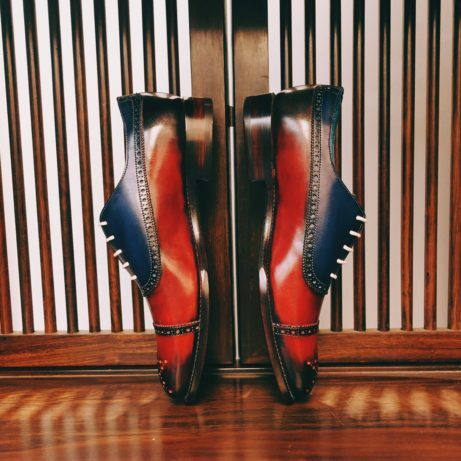 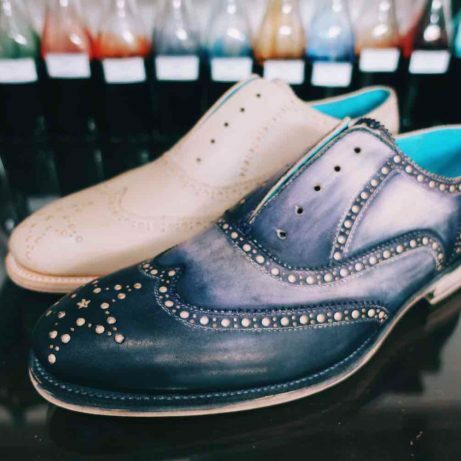 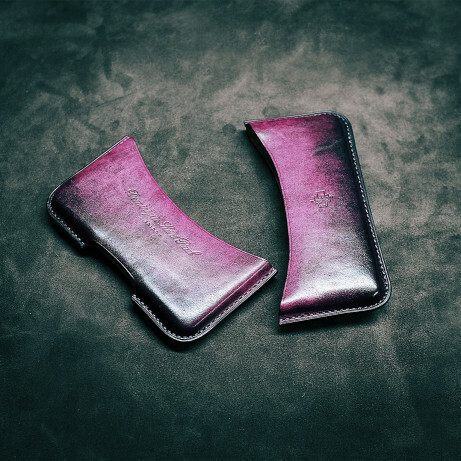 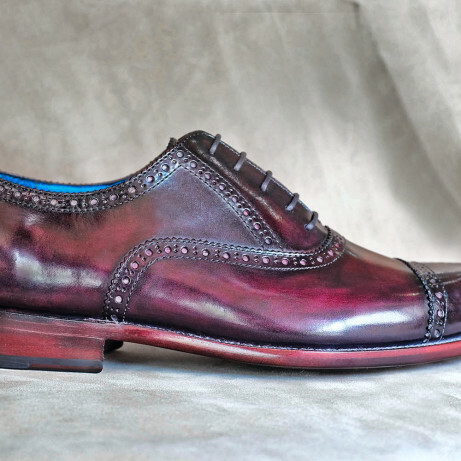 Hand colouring, which is our speciality, involves using a traditional Italian process of applying by hand layer upon layer of alcohol based dye colour on the crust leather. 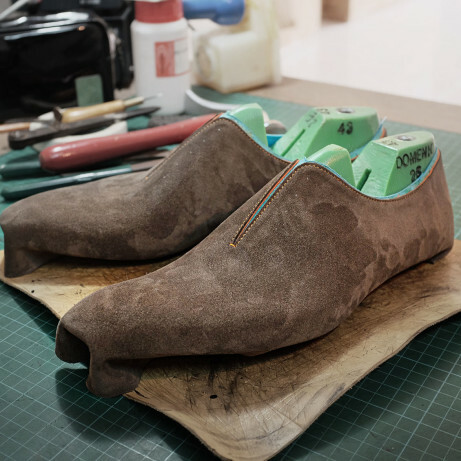 The finishing touch is also a slow process of hand working and means that many coats of cream are applied with careful brushing in between with natural waxes. 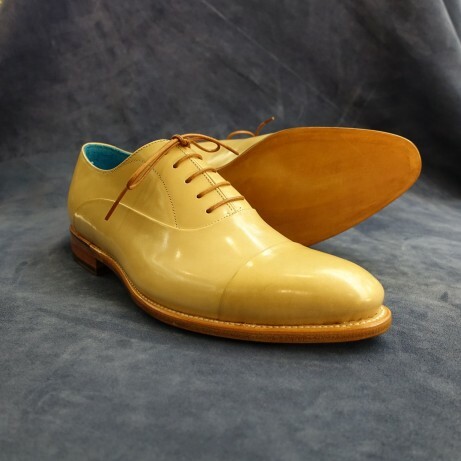 All our creams and waxes are also sourced from Italy. 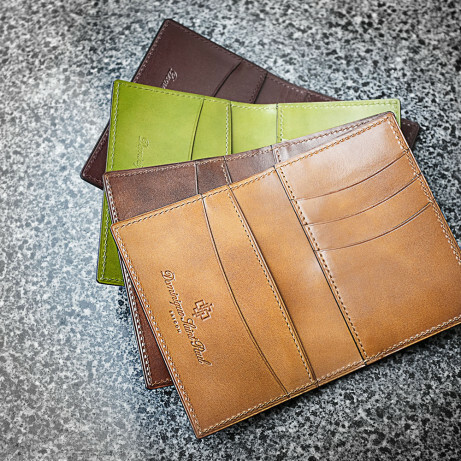 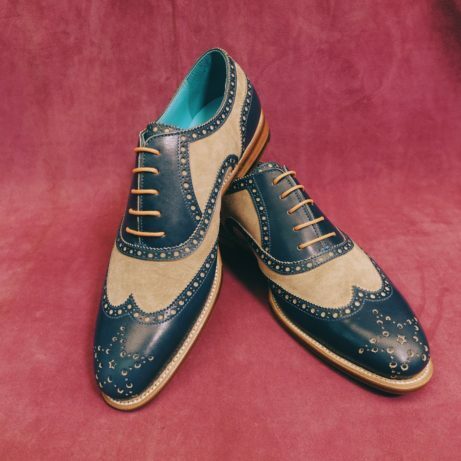 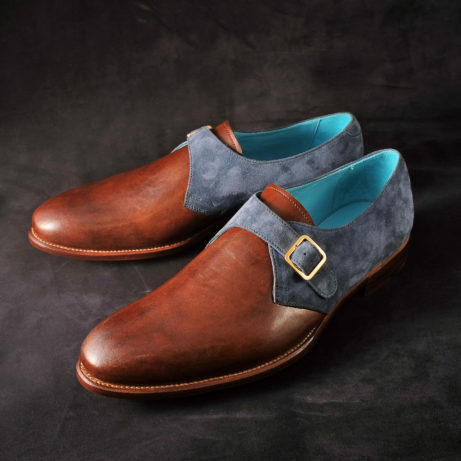 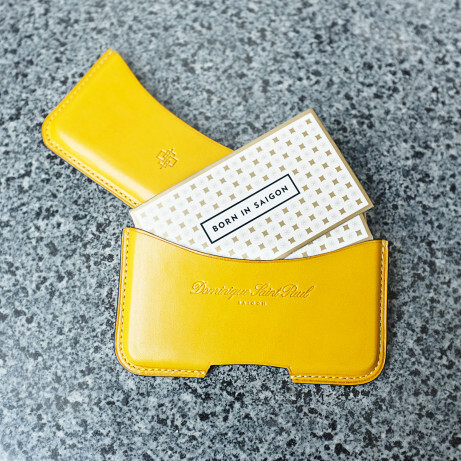 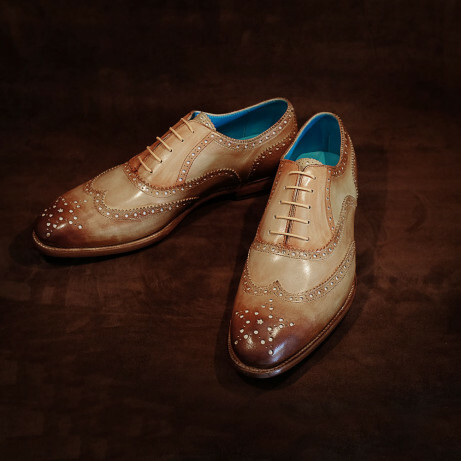 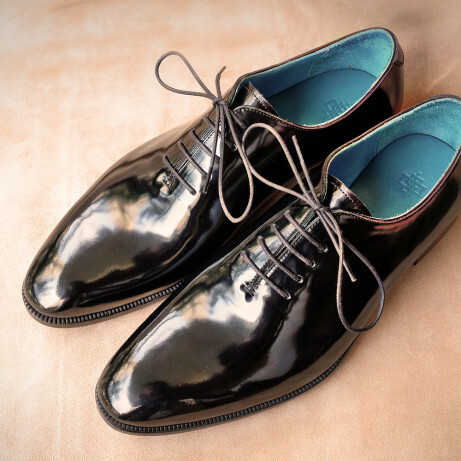 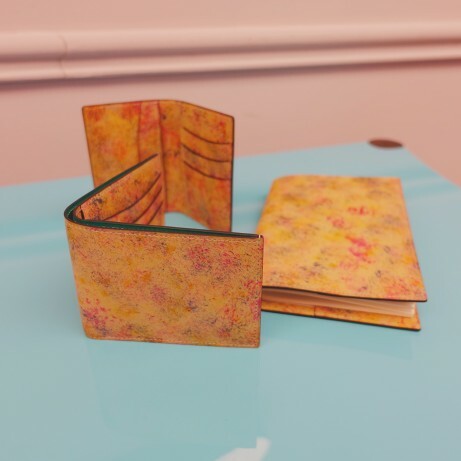 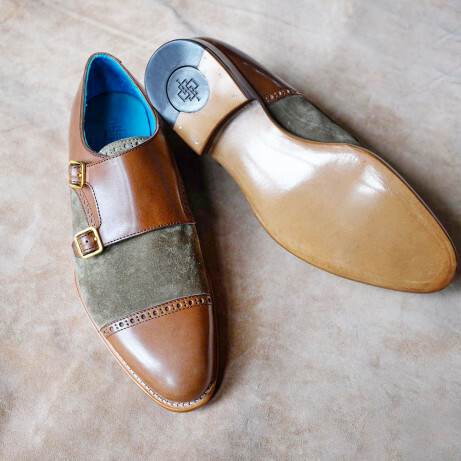 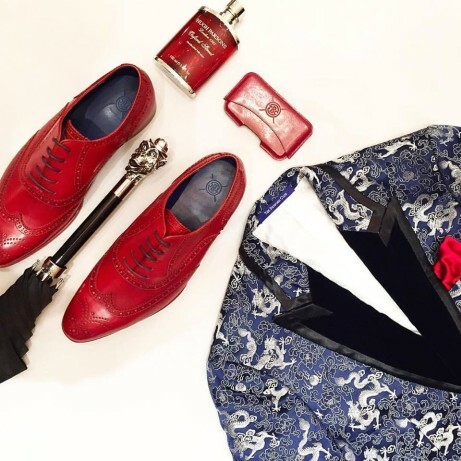 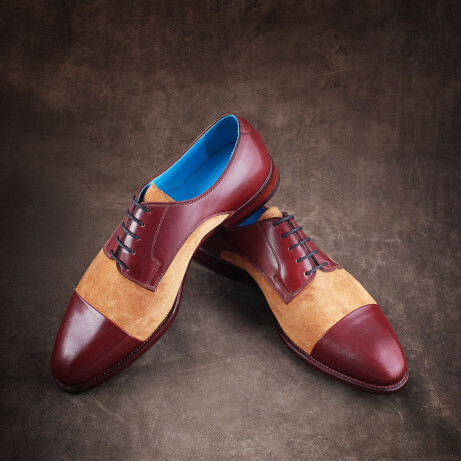 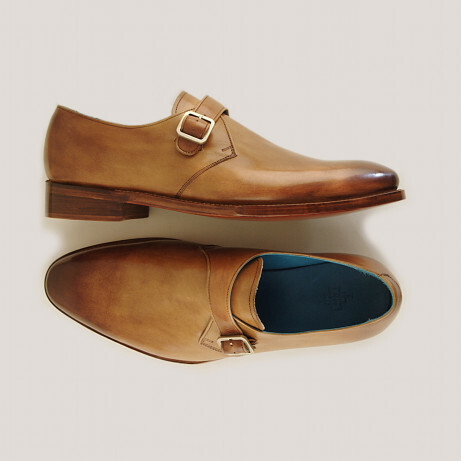 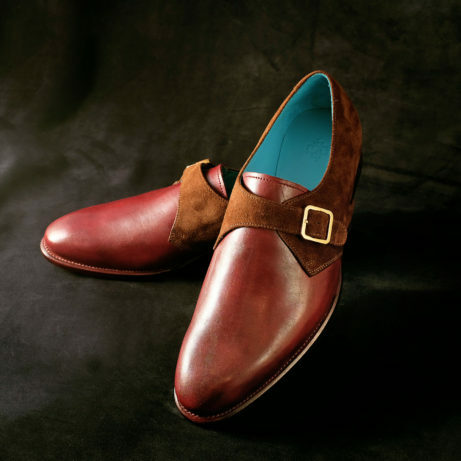 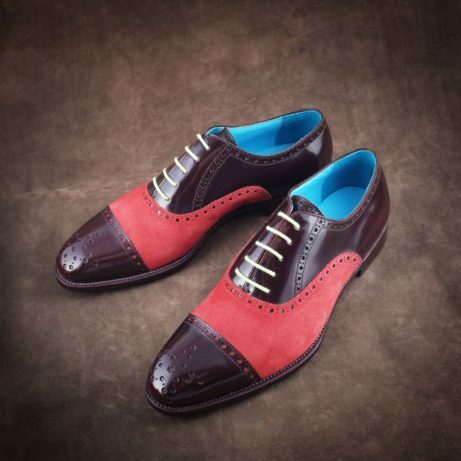 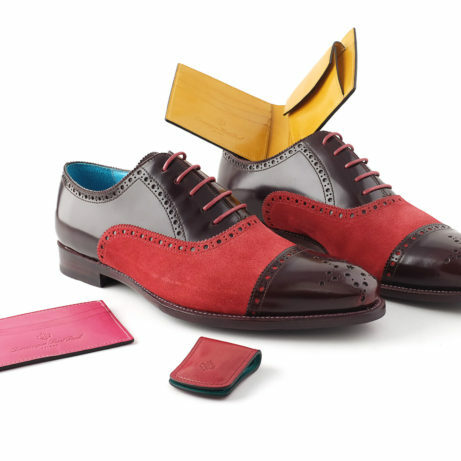 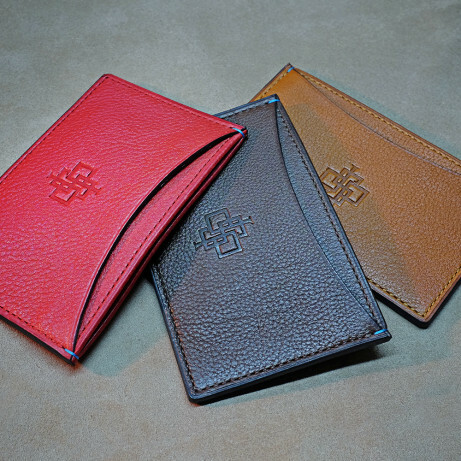 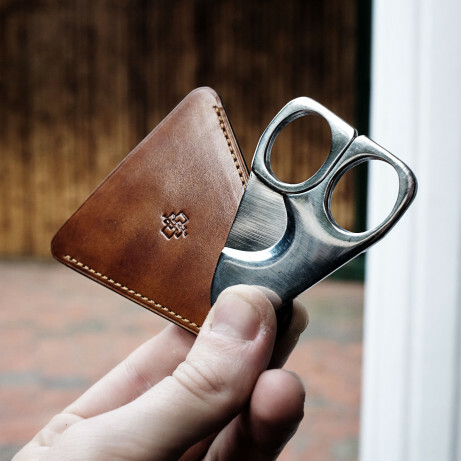 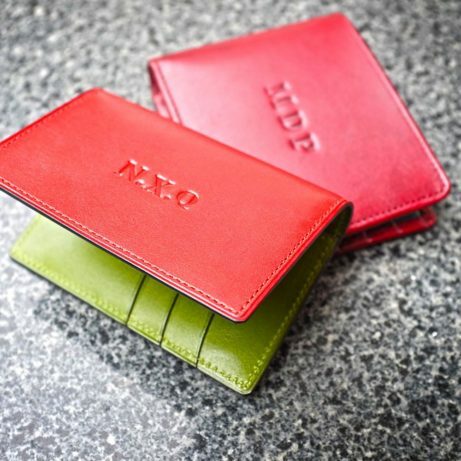 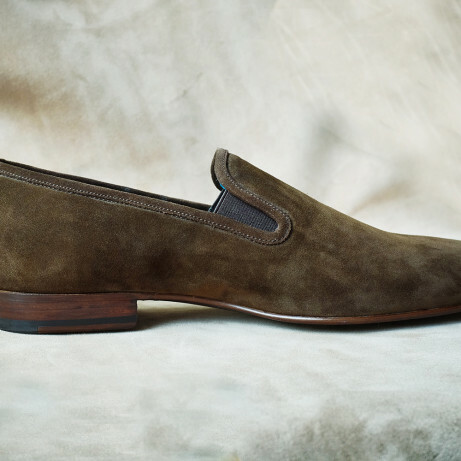 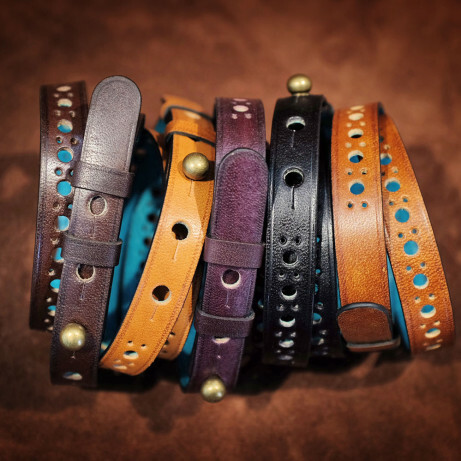 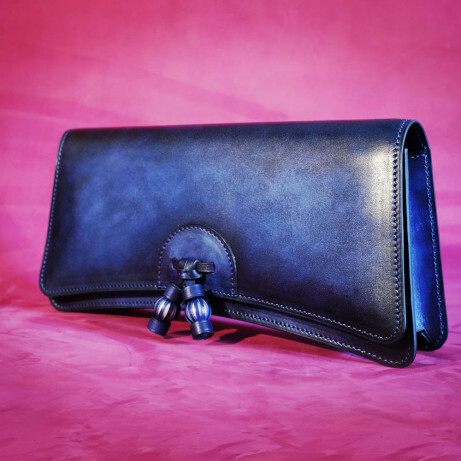 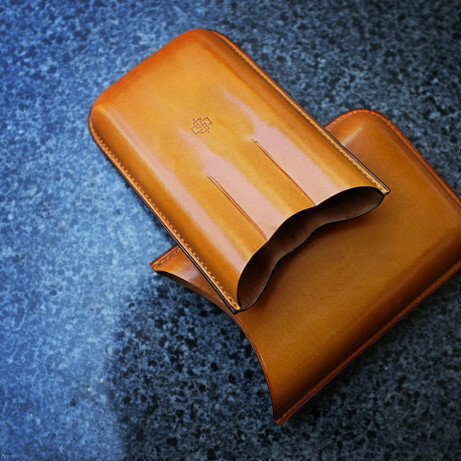 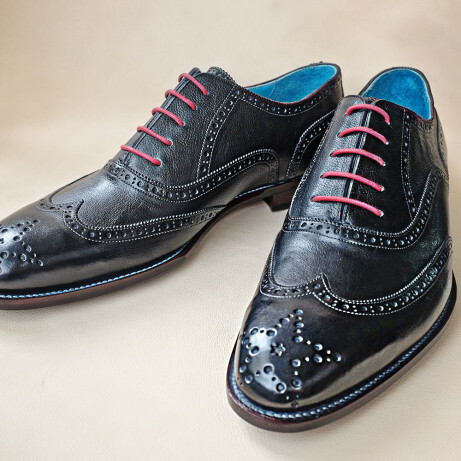 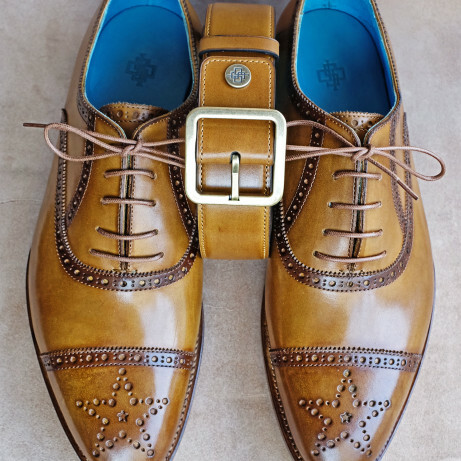 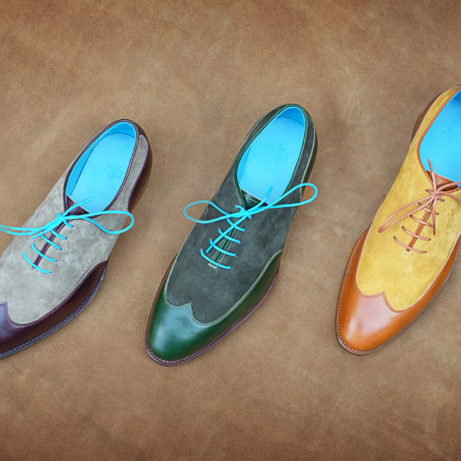 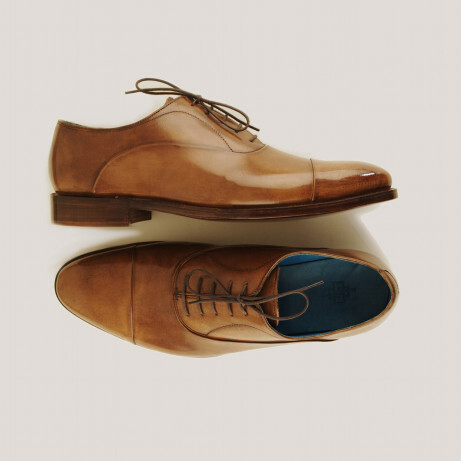 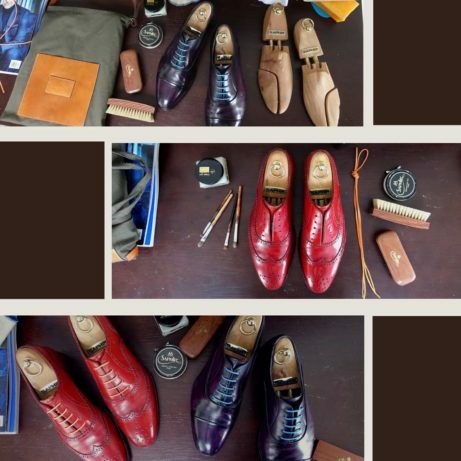 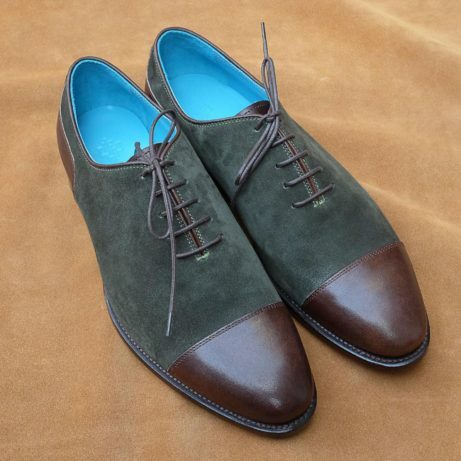 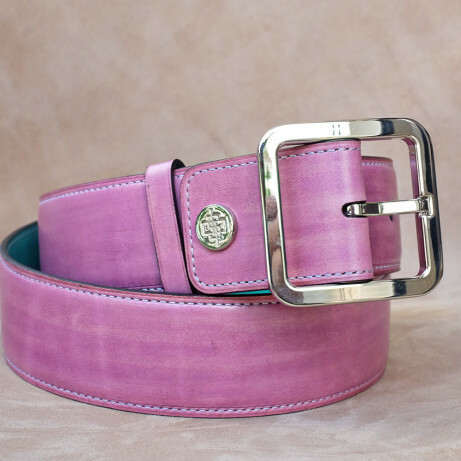 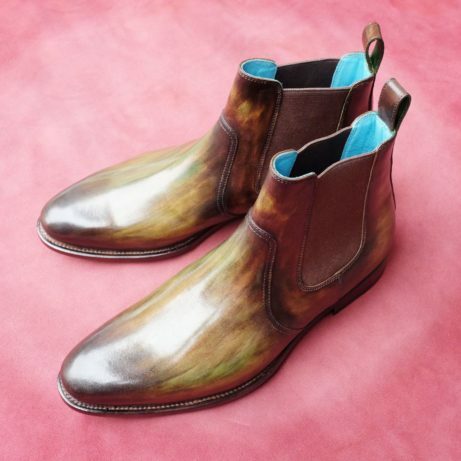 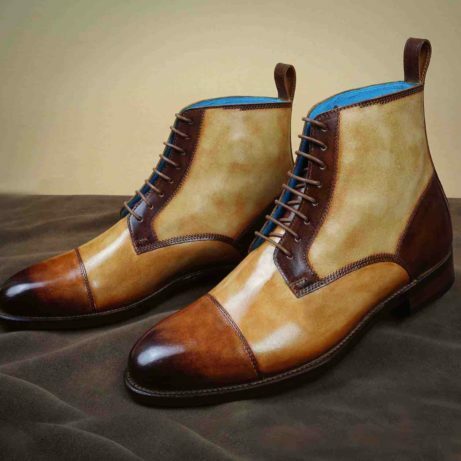 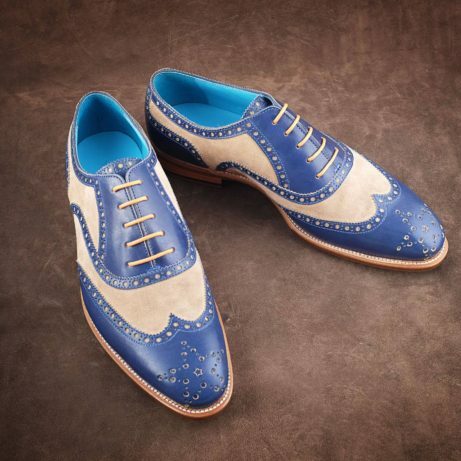 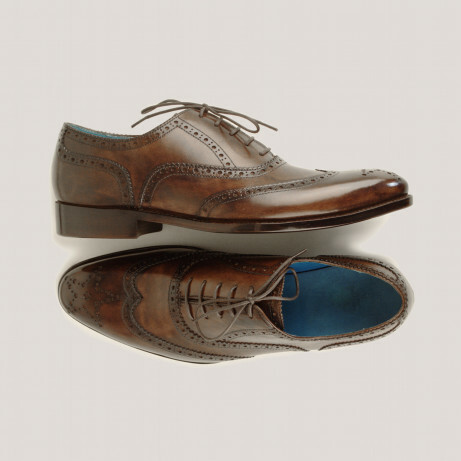 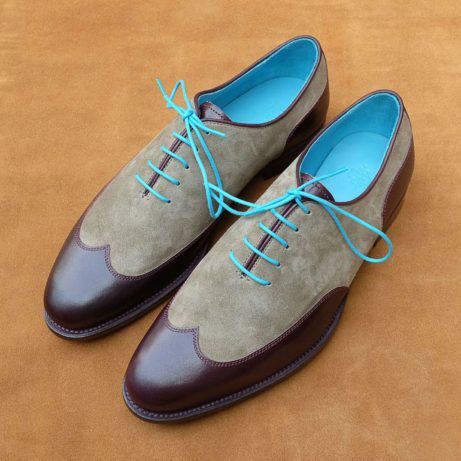 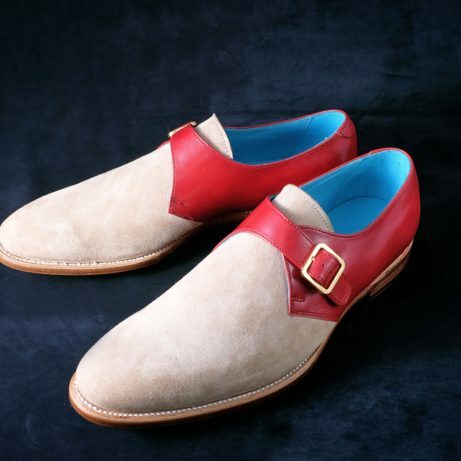 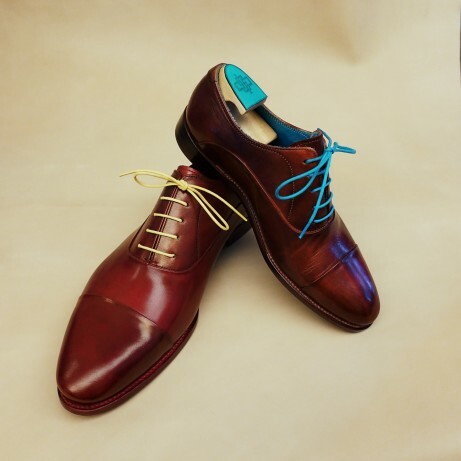 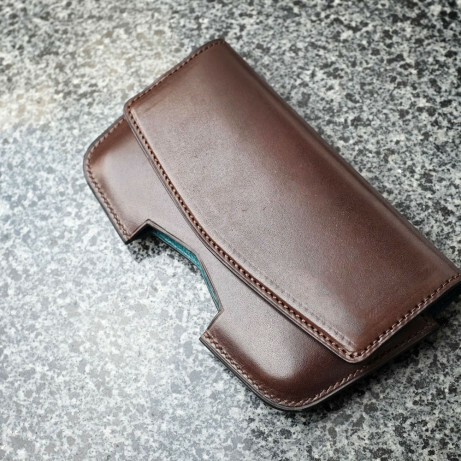 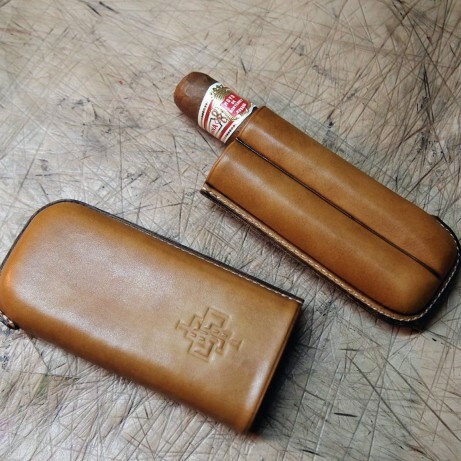 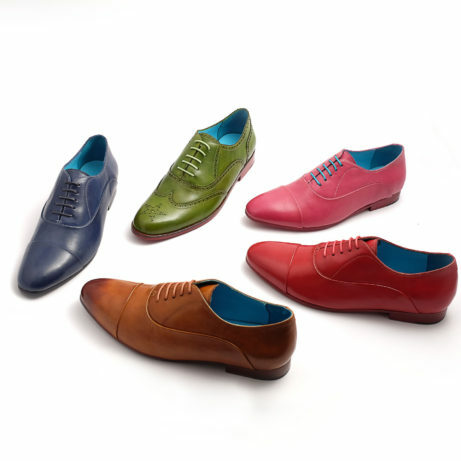 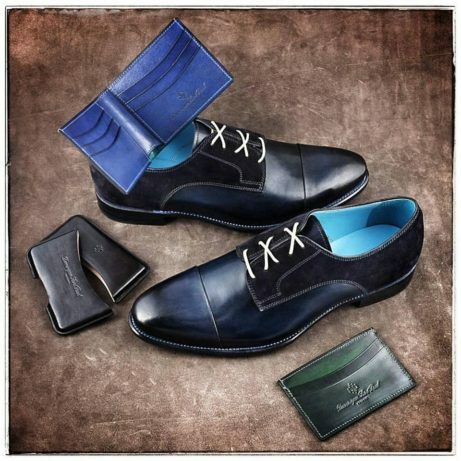 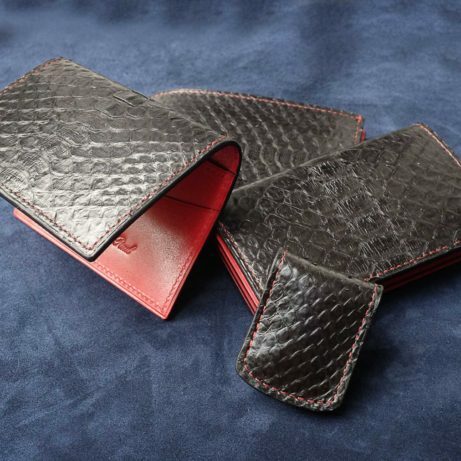 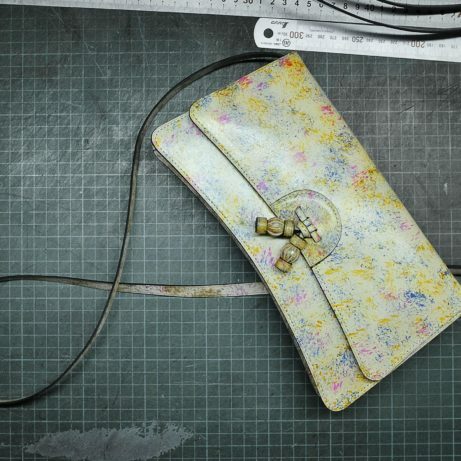 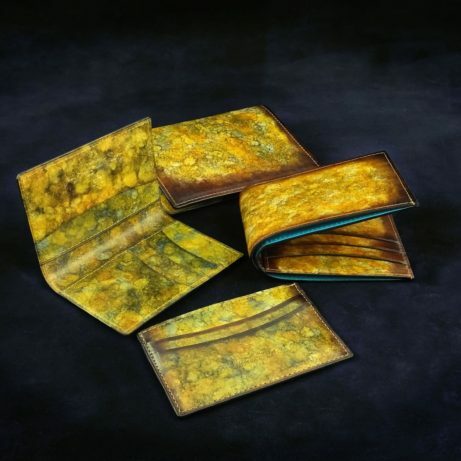 We can take orders by telephone and email for both ready to wear and made to order shoes, as well as our leather goods. 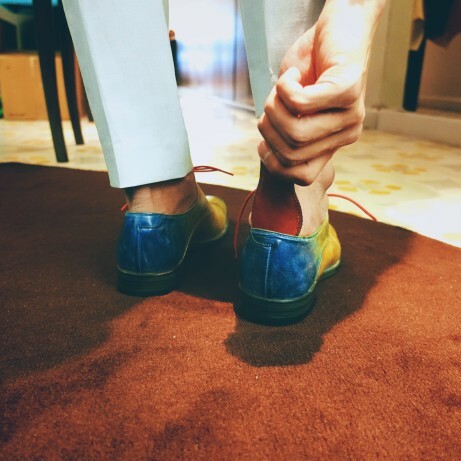 In case you cannot come to our Saigon shop then our experienced staff will guide you through a simple process of measuring you feet. 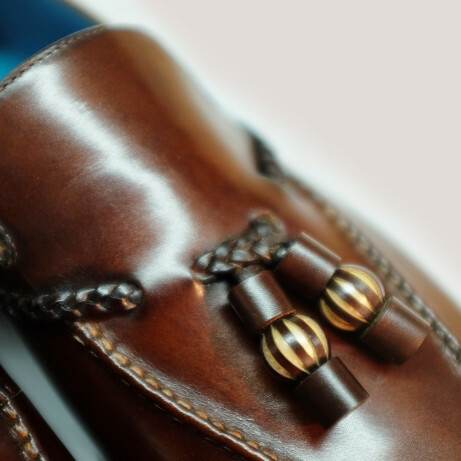 Do contact us today – we are fully at your disposal for all questions. 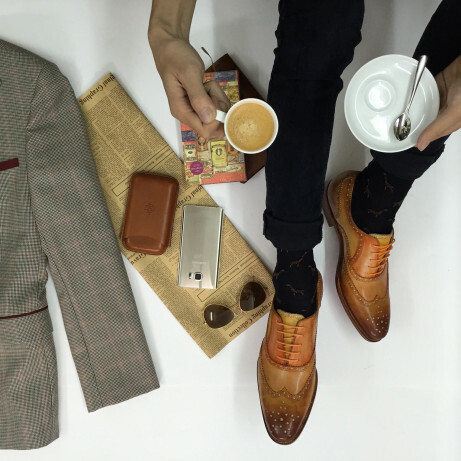 Style is about being yourself, but on purpose. 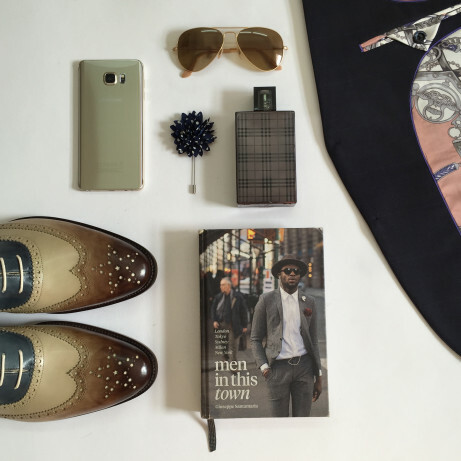 So make it your style today with Dominique Saint Paul.